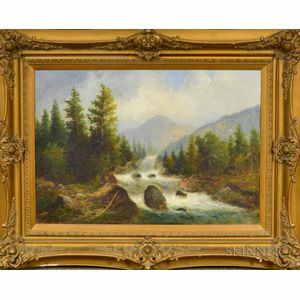 Mountain Landscape, Thought to be Mount Washington, with Rushing River. Signed indistinctly and possibly dated "G.W. ..." l.l., with a partial label from Carson Pirie Scott & Co. affixed to the stretcher. 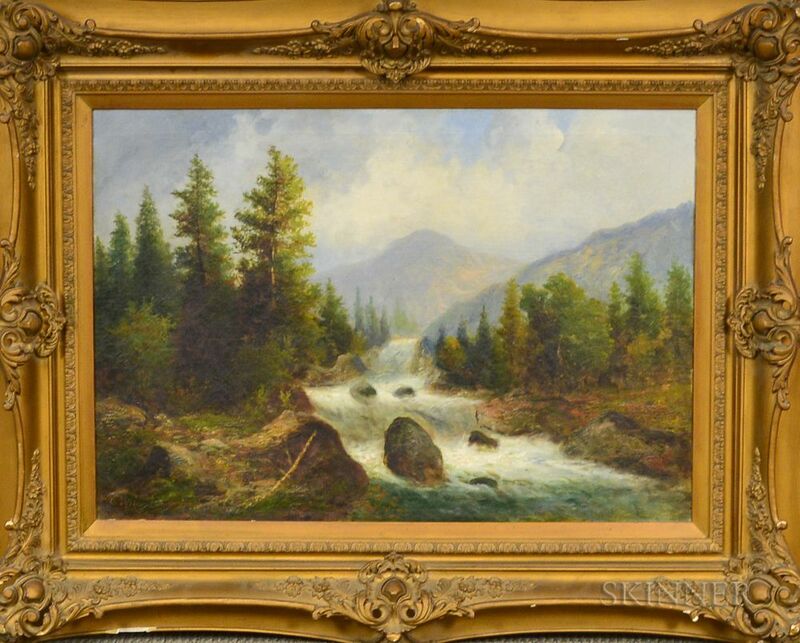 Oil on canvas, 20 1/8 x 29 3/4 in., framed. Condition: Patch reinforcement, minor retouch, craquelure, surface grime. Framed dimensions: 31 1/2 x 42 in.